Posted on October 16, 2016 November 28, 2016 by K.C. Of course it would be silly to stay behind in the demand for Auto-Flower Cannabis varieties. And we have not been sitting still over the last years either. K.C. Brains is back “With A Vengeance”. Connect with us on Facebook and be the first one to know as soon as they become are available when we share it with the world. 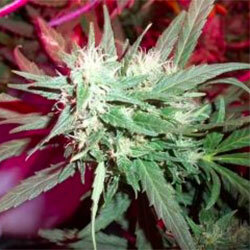 Perhaps you have already tried our mostly Sativa Auto-Flowering variety ‘K.C. 48®‘ or ‘K.C. 51®‘. The latest, and first Auto-Flowering strains added to the K.C. Brains Seeds Catalog. Auto-flowering cannabis varieties automatically switch from vegetative growth to the flowering stage with age. As opposed to the ratio of light-to-dark hours required with photoperiod dependent/short-day strains. Many autoflowers will be ready to harvest in less than 10 weeks from seed. Dwarf varieties can have short stature while still giving decent yield. Conversely ‘Super Auto’s’ can take over 100 days to mature and can reach over 6 feet tall. There could be a slight delay at your favourite dealer. We are helping our retailers & distributors first, however they will also need some time to get the new products online. If you have specific questions, about specific strains and their availability please go ahead and use the contact form. K.C. will get back to you asap. Your website is excellent, thank you for providing great products at reasonable prices.